The judge's ruling is available here. “Washington state secured its 18th legal victory against the Trump Administration this afternoon. 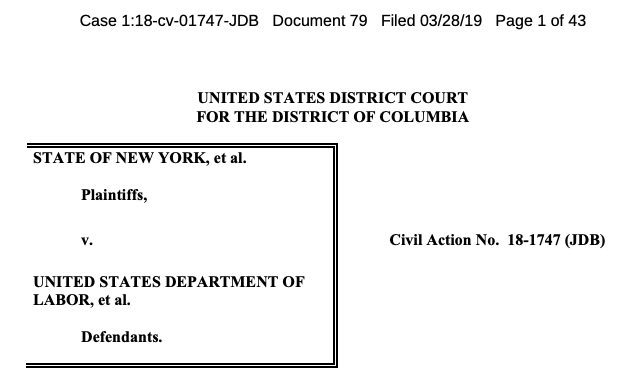 Today’s ruling by the United States District Court for the District of Columbia protects the Affordable Care Act by blocking the Trump Administration’s attempt to undermine state health care exchanges.